Sooner or later, each studio will need a recording light (the red light above the studio door). It signals not to enter the studio during a recording session. Expensive recording consoles offer the switching function for the recording light, but not everyone can afford such a console. 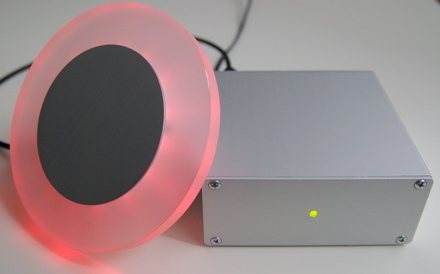 I developed a universal solution using midi signals, called RecLight®. RecLight® is a small controller with two outputs for lights. LED lights with 12V 100mA can be connected directly to the controller. The outputs can also be used to control relays switching other lights with different voltages. ReLight® is using the same midi commands as the Mackie Controllers. Therefore it is compatible with a lot of different DAWs.